We had an amazing time at the launch of our 'Dads' in School' project yesterday when we started our year of activities focussing on bringing male role models into the school. At our our first event, 'Bring your Father Figure to School Day', dads, grandads, uncles and other father-figures had the opportunity to see their child in their classroom setting, to practise their football skills with coaches from Wapping FC and then to enjoy tea and snacks in the sun. We had a great time and were very impressed by the amount of father figures who supported this afternoon of activities. Thank you! We look forward to our next event! We have had an amazing week here at St Anne’s celebrating World Book Week. On Monday, we had a visit from a professional storyteller, Liz Fost, who entertained and engaged us all! On Tuesday, we opened a pop up book shop in school and all children were able to choose a book to take home. We finished the week with our ‘tell a story’ session on Friday when parents and other adults heard children tell the stories they had been learning all week. A big well done to everyone! The members of the book club got the opportunity to attend the award finale at Canary Wharf's East Winter Garden and even performed an amazing presentation based on one their favourite books from the short list 'The Wolf Wilder'. But the winner of the afternoon was the author Jo cotterill who wrote the winning book The Library of Lemons, which we love at St Annes! If you haven't read it yet, head to the library! Twelve children from years five and six were selected to be part of the Must Read Book Club this term, a group in which they read the Tower Hamlets Book Award shortlisted books. They challenged themselves by reading six books (one a week!) that they wouldn't usually read and had fun discussing and debating them. Well done! The 2017 Tower Hamlets Book Award Shortlist- How many have you read? It has been all about the pictures in the library recently- we have been holding school-wide shadowing lessons of the Kate Greenaway Medal shortlist. Pupils 'shadowed' the judging process for best illustrations in a children's book and looked at the links to Amnesty International and Human Rights. Our winner was Wild Animals of the North. We had a special day of activities in the library with activities linked to the shortlisted books. Some children in year four had the fantastic opportunity to go and see the famous author Jacqueline Wilson. They loved listening to her speak and buying signed copies of her books. Two competition winners had the chance to go and get their books personally signed by Jacqueline Wilson. Year 5 had the fantastic opportunity to go and see Micheal Rosen perform some of his best poetry at the Old Vic Theatre. Our poem of the month in the library is 'I am Hungry' by Michael Rosen, it is very funny! Michael Rosen reading his poem 'I Am Hungry' from 'A Great Big Cuddle', a new poetry book for the very young illustrated by Children's Laureate Chris Riddell. 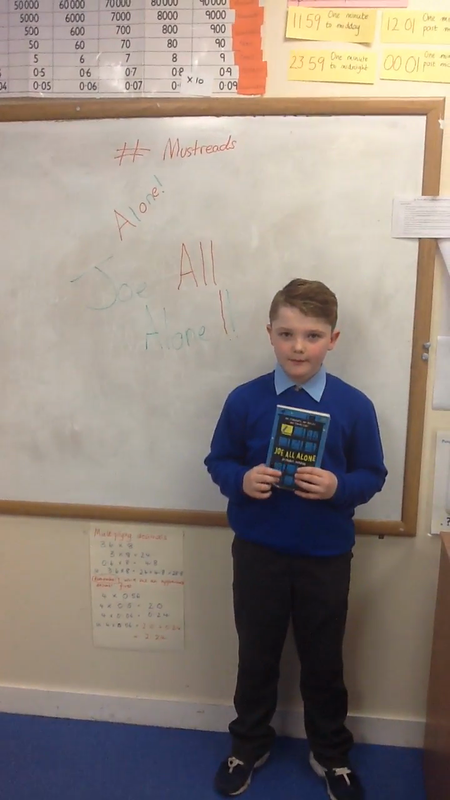 Here is the latest 'Book of the Month' as chosen and reviewed by our Junior Librarians. We are happy to announce that Namira in year 5 won a prize in the Tower Hamlets Creative Writing Competition- Well done Namira!!. As part of her prize, Namira got to attend a creative writing workshop with the award winning author of 'Smart', Kim Slater. Here she is meeting Kim Slater along with Kenzie also in year 5. Our new Poem of the Month is called 'Dreaming of Summer' by Ken Nesbitt and reminds us of the summer we are looking forward to. We were lucky enough to have the author Sam Gayton - known for novels such as Hercufleas & The Snow Merchant - visit our school and Library! During Sam's visit he did an exciting interactive assembly with KS1 & KS2 getting the children to give input to his new book Lillput which is a follow on from Gullivers Travels. Sam also did workshops with Year 5 and 6 showing them ways to create characters and story openings, as well as joining the Book Club at the end of the day to give a Q+A Session, along with book signing. Thanks for coming in Sam!